All donors will receive a Free Halloween shirt at your blood drive! 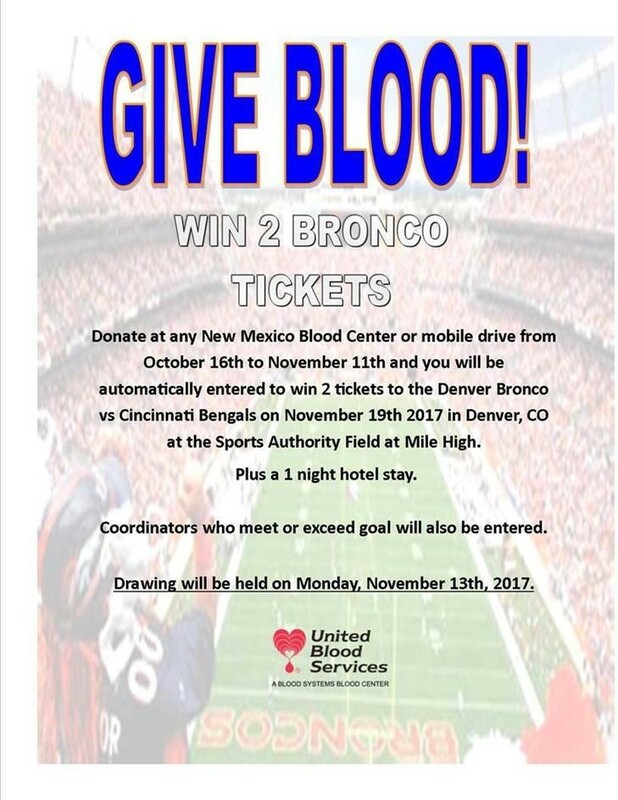 And all donors names will be entered into a raffle for a Broncos Game….This raffle includes 2 nights at the Grand Hyatt in Denver!! Find the Hero in you! Donate blood 3 times a year!